What a fabulous spot in our backyard. Lake O'Hara is a gem in Yoho National Park and Yoho is loaded with gems. I managed to get 6 bus tickets for a day trip. In order to get these tickets is like winning a lottery or at least getting tickets on-line for your favourite music group. I had to go on-line at 8am back on April 22 to try and buy the day tickets. I pressed the button at the right time and won. And within seconds the entire summer is sold out. It is not the greatest system to get to see this place(you can walk 14 km one way). Along with some neighbours we had an absolutely fabulous day. It had been raining and snowing off and on for the week prior and when we got up to Lake O'Hara the skies cleared with all sorts of new snow. Breathtaking to say the least. If you are interested in this trip for next summer, we can organize a guide who has access to priority tickets for the bus. It will cost about $400 for a guide for the day and must be booked at least a month prior in most cases. But it is an option for people who have Lake O'Hara on the bucket list. 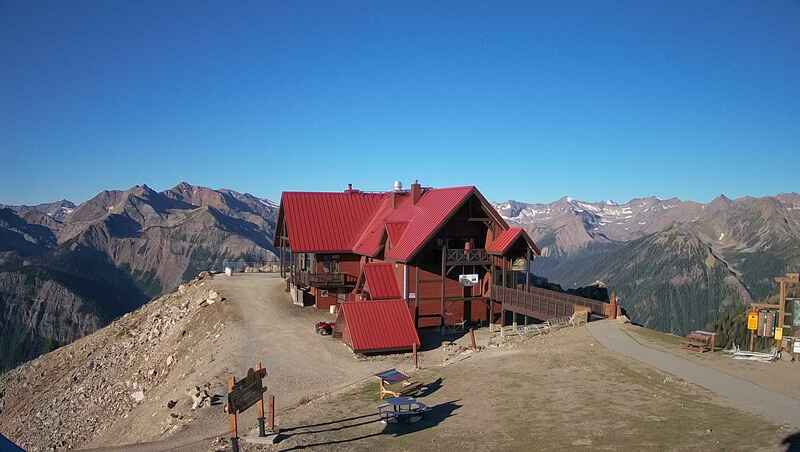 Vagabond is closed as of September 28 and will be reopening for the ski season in December. Our 10% Early Bird discount is in effect until October 31. Give us a call at 250 344 2622 or email ken@vagabondlodge.ca to book your stay.